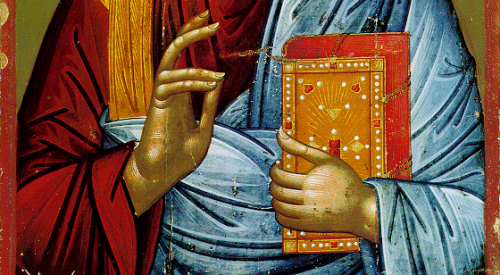 Read the entire article on the Orthodox Church Quotes website. Join us for a Thanksgiving and St. Katherine Feast Day Liturgy on Wednesday, November 25 at 6pm. This is a very good way to retain Thanksgiving as a day of thanksgiving to God. And the King shall answer and say to them, Truly I say to you, Inasmuch as you have done it to one of the least of these my brethren, you have done it to me. (Matthew 25:40). 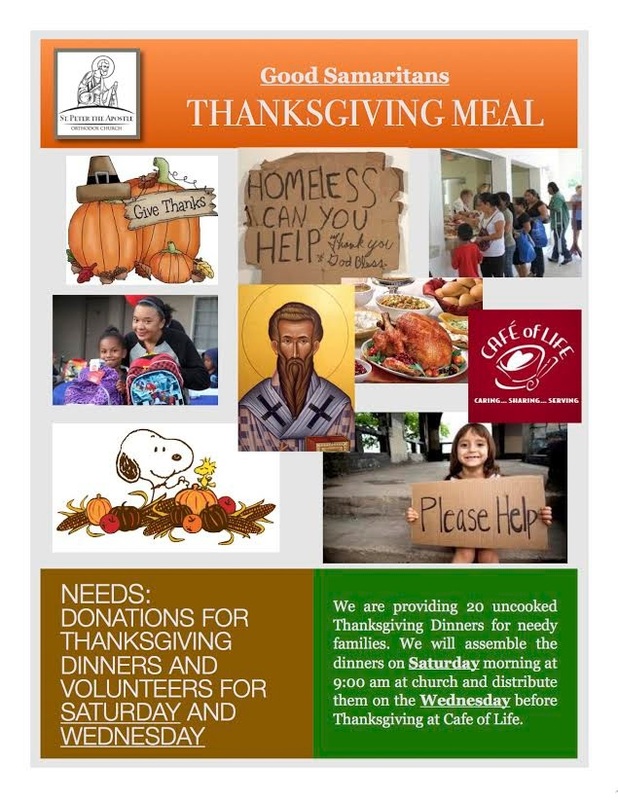 On Saturday November 21 parishioners who want to help the poor in Bonita Springs will meet at the Church at 9:00 to assemble Thanksgiving food bags to be distributed to the poor of our area. On Wednesday, November 25 at 9:30am (the day before Thanksgiving) we will meet at Leitner Park in Bonita Springs to distribute the food (get directions from Google or the Cafe of Life website). See the St. Peter website for more information. St. Peter’s has partnered with the local food bank Cafe of Life and our contributions will go to people and families who have no special dinners for Thanksgiving. Cafe of Life clients are 90% working poor (families work but do not make enough money to survive) and 10% homeless. As we do ever year, the months approaching Christmas is when we collect foor for neighborhood foodshelves. Please bring a canned item to Church with you on Sundays. Bins will be set up to collect them. Cash/check donations work too. Please give your donation to Mary Copeland and notate “Food Donation” on the memo line. The drive will run through December 29. All donations will be distributed locally. Practice and class will resume Wednesday, December 2, 2015. Get the class syllabus and complete information on the website. 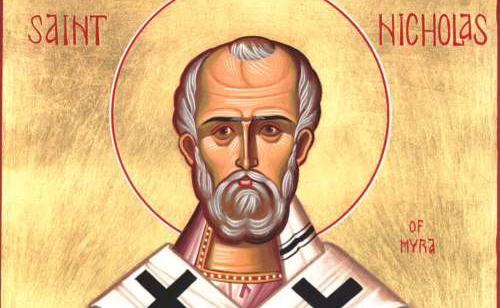 On Saturday December 5 we will hold a Vesper Service at 5:30 followed by a Pot Luck Supper to honor St. Nicholas. 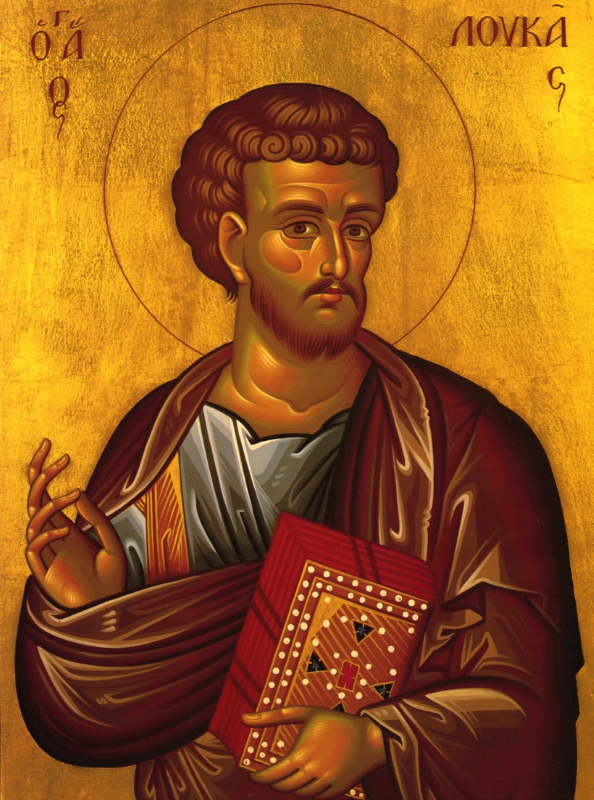 His Feast Day occurs on Sunday, the next day. Great wews! We will expand into the unit behind the back wall of our present location. This will meet our needs prompted by our growth and include an expanded sanctuary, social hall, Sunday school, bible study, offices, teen lounge and especially important a place to hold our potluck fellowship dinners. We hope to have the area fully functioning by January 1. Tony Backos – That his business would be restored quickly. Soterios Ninos father of Angela Long.